Its been another great year! 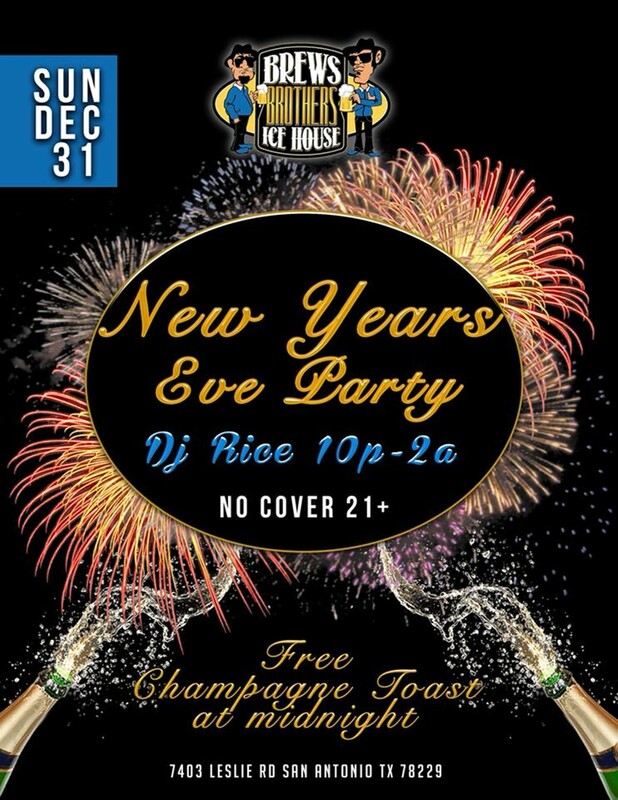 Come celebrate at Brews Brothers Ice House before the new year starts. Event will include free champagne toast at midnight and music will be provided by DJ Rice.